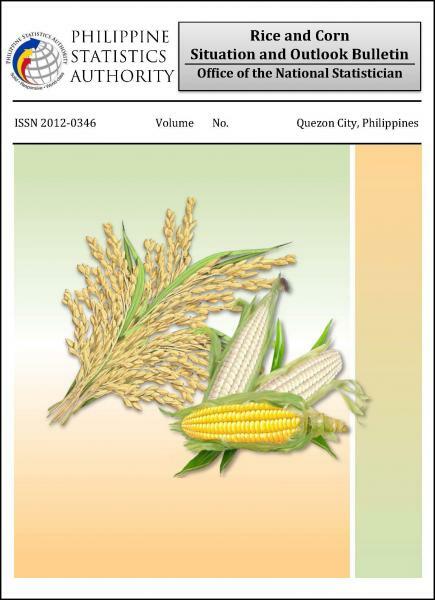 This is to advise the public that the Rice and Corn Situation and Outlook, a quarterly special release of the PSA which features the reference quarters’ production estimates and estimates for the next quarter based on standing crop of palay and corn will be discontinued effective April 2019, the last release being on 23 January 2019. 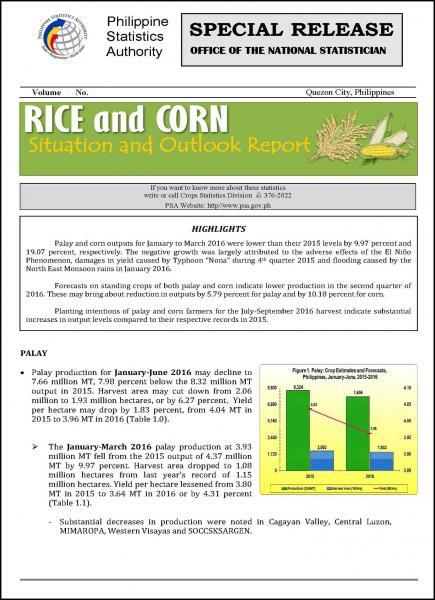 The production estimates generated from the Palay and Corn Production Survey for the reference quarter will be released through the Quarterly Palay and Corn Bulletin, available 60 days after the reference quarter. The production estimates based on standing crop will be disseminated through the monthly special release on Updates on Palay and Corn Estimates available 15 days after the reference month. 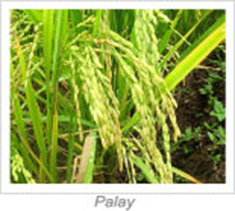 The country’s palay production exhibited a decline of 2.2 percent for October-December 2018. In contrast, corn grew by 10.82 percent from its level in 2017. On the other hand, palay and corn annual outputs were lesser by 1.09 percent and 1.81 percent from their respective levels in the previous year. The country’s palay production for October-December 2018, at 7.16 million metric tons, was lower than the 7.32 million metrics tons production in 2017 or by 2.2 percent. Harvest area contracted by 16 thousand hectares from the previous year’s level of 1,864 thousand hectares. Yield per hectare dropped from 3.93 metric tons in 2017 to 3.87 metric tons in 2018 (Table 1.1). o Substantial decrements in output were noted in Cagayan Valley (0.15 million metric tons) and Ilocos Region (0.13 million metric tons). o Reduction in harvest area was largest in ARMM, followed by Ilocos Region, Bicol Region, and CALABARZON. Production for January-December 2018 at 19.07 million metric tons, declined slightly by 1.1 percent compared with the 2017 output. Similarly, harvested area and yield were lesser by 0.2 percent and 0.9 percent than their respective levels in the previous year (Table 1.2). 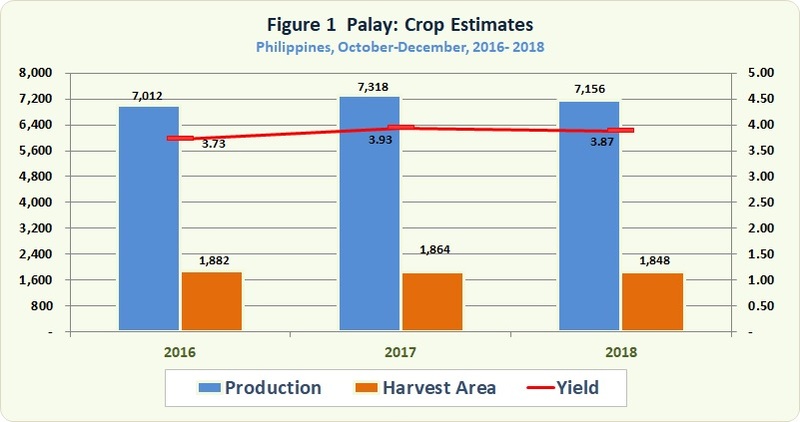 Probable palay production from January to March 2019 based on standing crop may increase by 0.49 percent, from the previous year’s level of 4.62 million metric tons.